“Dr Linda Wu was recommended to me by a friend. 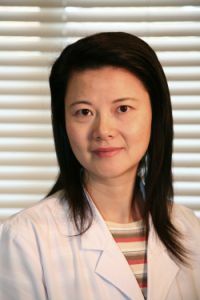 I was interested to learn that she was a medical doctor, in China, and also a registered acupuncturist here in Alberta. I feel this gives her an advantage in treating her patients. I was immediately impressed when I met Dr.Wu and she told me she could treat my symptoms (which she did, very succesfully) but that I must see my family doctor for a couple of tests to get to the root cause of the problem. I did this and found that I needed a small surgery to completely resolve the situation. I am very afraid of needles – the ones for injections and drawing blood, so how could I possibly have acupuncture ? Well, to my surprise, the needles are very thin and hardly noticeable once inserted. I feel the treatment is, in fact, very relaxing and the time passes quickly, as I listen to the quiet background music. Proudly Serving Calgary NW and Cochrane Area.